Freedy Johnston, a songwriter’s songwriter, brings his well-crafted songs to Hastings on Saturday | Will You Miss Me When I'm Gone? 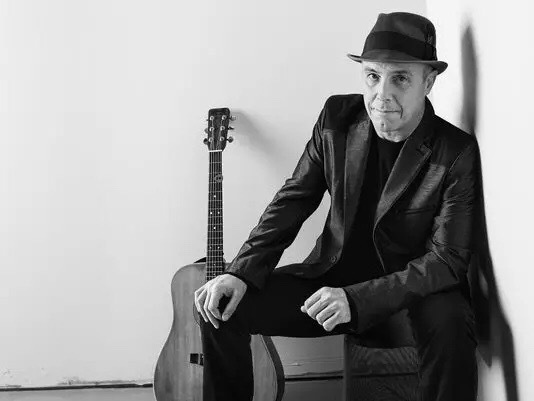 Throughout his 25-year career, singer-songwriter Freedy Johnston has developed a loyal following with his finely detailed story songs. His compositions tend to be filled with dark, broken characters, set to lithe, almost jaunty melodies — and are always highly original. I got a chance to talk to Johnston recently for The Journal News/lohud.com in advance of his show on Saturday night at The Purple Crayon in Hastings-on-Hudson. You can read it by tapping or clicking here. This entry was posted in Concerts, Interview, Music, News, Recordings, Singer-Songwriter, Uncategorized and tagged Freedy Johnston, Hastings, lohud.com, Neon Repairman, The Purple Crayon. Bookmark the permalink.